March 28, 2011 - Four family members from Bogota, Columbia, were indicted on Wednesday by a federal grand jury on various counts of illegally attempting to export 22 F-5 jet fighter engines to Iran. The indictment follows an investigation by U.S. Immigration and Customs Enforcement's (ICE) Homeland Security Investigations (HSI), and the Defense Criminal Investigative Service (DCIS). The family members include: Diego Echeverry, 42 of Elmhurst, N.Y., Felipe Echeverry (age unknown), Amparo Echeverry Valdes, 53, and Carlos Alfredo Pantoja-Coral, 57. "It is critical to U.S. national security that sensitive technology is kept from falling into dangerous hands," said Anthony V. Mangione, special agent in charge of ICE HSI in Miami. "ICE HSI investigations play a key role in keeping that technology away from those who intend to harm us." Count one of the five-count indictment charges the defendants with conspiracy to export U.S. fighter jet engines to Iran, which violates the International Emergency Economic Powers Act (IEEPA) and Executive Orders banning exports to Iran. 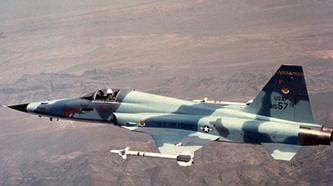 Count two charges the defendants with attempting to export fighter jet engines to Iran. Count three charges the defendants with attempting to sell and export fighter jet engines by evading Office of Foreign Assets Control (OFAC) regulations. Count four charges the defendants with conspiracy to attempt to export fighter jet engines to Iran. Lastly, count five charges the defendants with attempting to export fighter jet engines. The indictment also seeks the forfeiture of the 22 jet engines. The U.S.-Iran embargo prohibits exporting from the United States to Iran any goods, technology or services, with limited exceptions, unless authorized by the Department of Treasury, OFAC. The embargo is enforced through IEEPA. According to the allegations in the indictment and the previously filed complaint affidavit, Felipe Echeverry and three of his relatives conspired to sell 22 aircraft engines for $320,000 to an undercover agent. And they agreed to help the undercover agent export the engines from Miami to Iran through Panama. From January through March 2011, in a series of meetings and conversations, the defendants negotiated the terms of the purported sale, knowing that the ultimate destination of the fighter jet engines was purportedly Iran. According to the complaint affidavit, Iran produces an aircraft named "Saegeh," which is compatible with F-5 fighter engines. If convicted, the defendants face a statutory maximum penalty of 20 years in prison on each of counts one through three of the indictment, five years in prison on count four, and 10 years in prison on count five.